Denver is our first home bred Aust. Ch. so will always be special for that reason alone, he is a very laid back character and a lovely dog to live with. 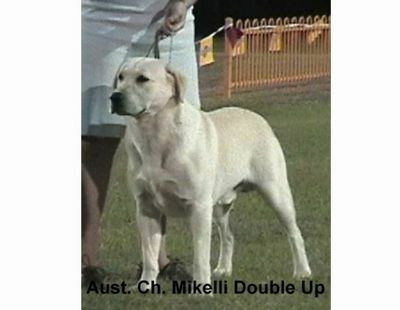 His two best achievements in the show ring were Best of Breed at Palmeston North Gundog Specialty show in Darwin and then followed up with Best of Breed at Gundogs and Heavy Breeds in Brisbane a month later.